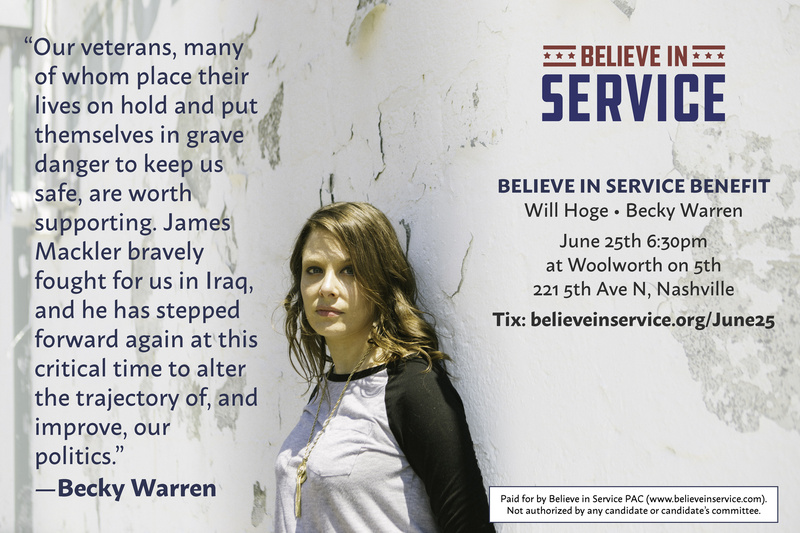 NASHVILLE – Believe in Service, political action committee founded by Iraq war veteran James Mackler, today announced Americana musicians Will Hoge and Becky Warren will help raise money at a benefit for the organization on Monday, June 25th. Believe in Service supports U.S. Senate candidates across the country to help protect national service programs such as AmeriCorps and Legal Aid – both targeted for near elimination in President Trump’s FY 2019 budget. The benefit will be held at the historic Woolworth on 5th, an iconic site in Nashville’s Civil Rights movement and part of the U.S. Civil Rights Trail. 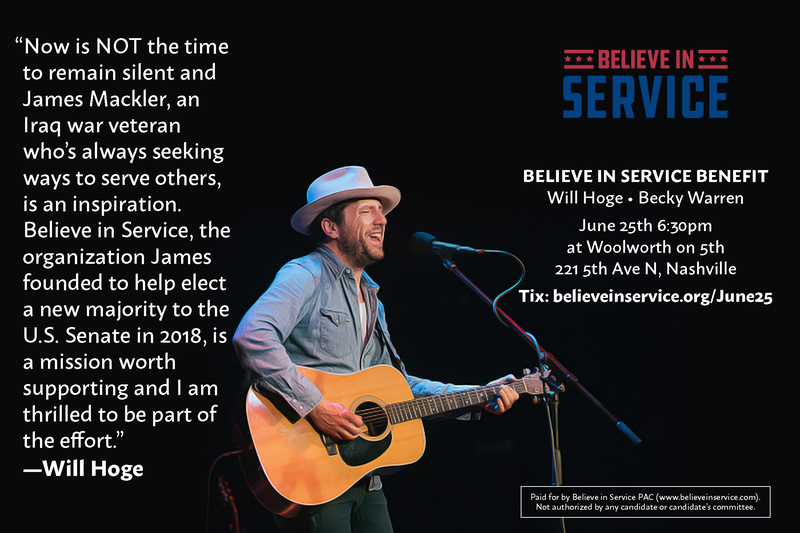 Believe in Service has endorsed and made maximum contributions to three challengers and five incumbents running for U.S. Senate in 2018, including U.S. Senator Tammy Baldwin (WI), Governor Phil Bredesen (TN), U.S. Senator Sherrod Brown (OH), U.S. Senator Bill Nelson (FL), U.S. Rep. Jacky Rosen (NV), U.S. Rep. Kyrsten Sinema (AZ), U.S. Senator Debbie Stabenow (MI), and U.S. Senator Jon Tester (MT). For tickets to this intimate engagement, please visit www.BelieveInService.com/June25.